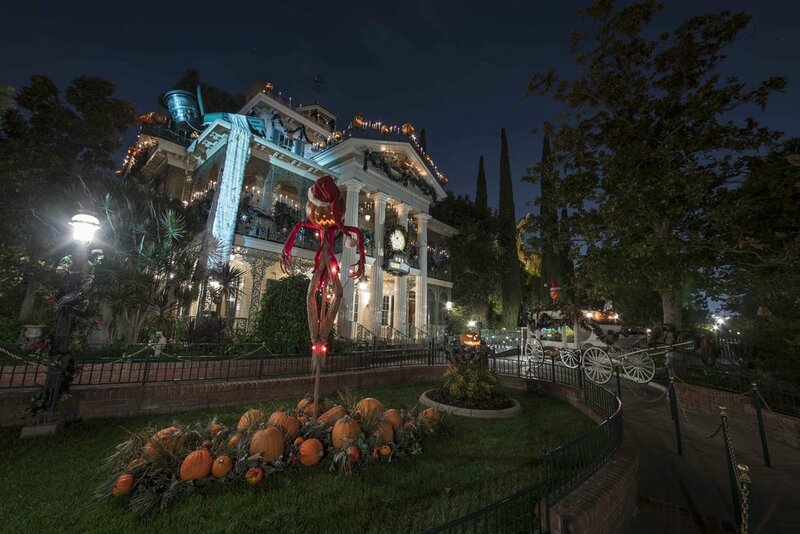 Halloween time at Disneyland Resort in California returns for more spook-tacular days than ever this year. Both parks - Disneyland and Disney California Adventure - have been transformed with Halloween-themed décor, special food offerings plus encounters with dastardly Disney villains, now through October 31. Here are KidTripster’s top 8 reasons for visiting during the frightfully-fun fall season. 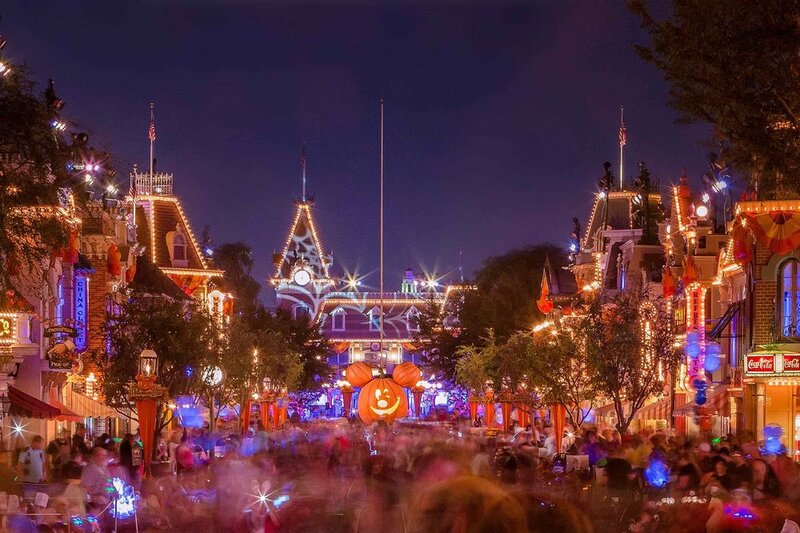 Mickey’s Halloween Party returns with select nights of after-hours fun. 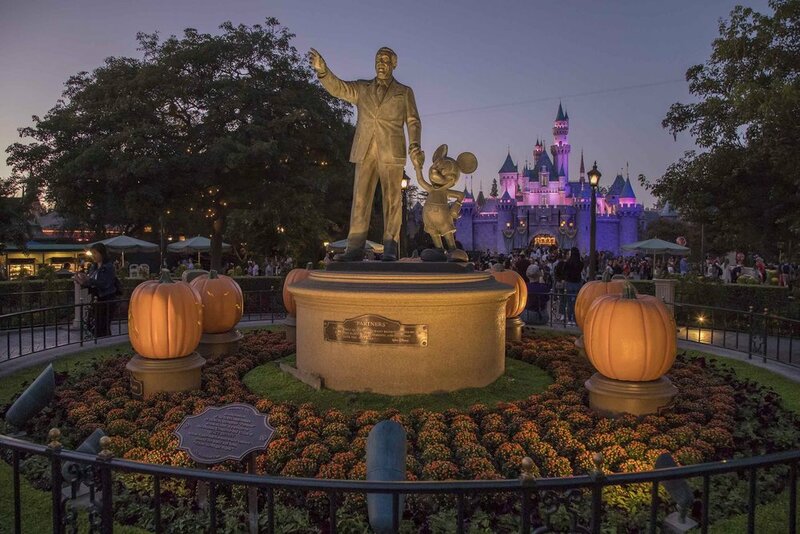 This separate-ticket event features some exclusive entertainment, Disney characters in their Halloween attire, trick-or-treating at locations throughout Disneyland, and a chance for the entire family to visit both parks after hours in costume. 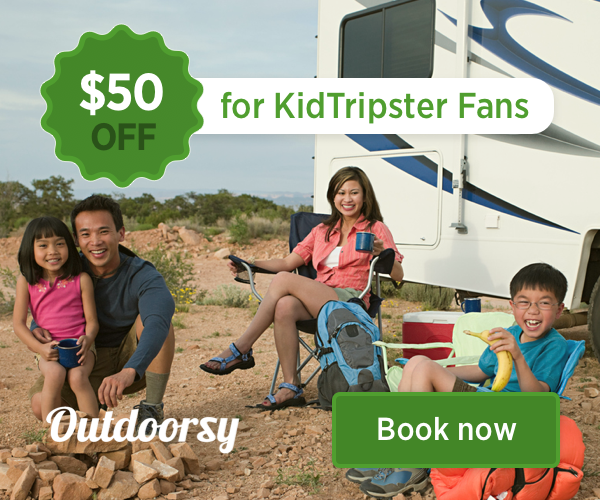 KidTripster Tip: Even better than the free candy? The shorter lines at most attractions! You’ll also enjoy some exclusive treats: Halloween Screams, a supernatural firework show, Frightfully Fun Parade led by The Headless Horseman of Sleepy Hollow and photo ops at Villains Square. Cost for Mickey’s Halloween Party: Everyone (over 3) $105-$130/each, depending on date; parking is not included. KidTripster Tip: Guests with a Mickey’s Halloween Party ticket get admission to both parks for three hours prior to the party’s start time. Mickey’s Halloween Party tickets may be purchased online as well as at the Disneyland Resort main gate or by phone at (714) 781-4400. But definitely purchase in advance, as some nights will sell out. Haunted Mansion becomes Haunted Mansion Holiday, inspired by the Walt Disney Pictures classic Tim Burton’s The Nightmare Before Christmas. The seasonal attraction celebrates the collision between Halloween and Christmas as Jack Skellington offers his unique take on the holidays. Fun Fact: Did you know that this year is the 25th anniversary of The Nightmare Before Christmas? KidTripster Tip: Be sure to use a FastPass on this particular attraction because the lines can get frightfully long. Both parks are transformed, starting with the beautiful décor on Main Street, U.S.A., including a giant Mickey Mouse jack-o’-lantern and a Pumpkin Festival. Space Mountain in Tomorrowland becomes Space Mountain Ghost Galaxy, a reimagining of the popular attraction. Guests on board the speeding Space Mountain vehicles are thrust into a ghostly galaxy where they are surrounded by eerie screams, sound effects, and music. Spine-chilling spirits pop out of the darkness, appearing to reach out and menace the space travelers. At California Adventure, the citizens of Cars Land celebrate Halloween by turning Radiator Springs into Radiator Screams. The entire land is transformed with a special Haul-O-Ween makeover as the townsfolk don Halloween costumes and decorate their respective homes for the season. Also at California Adventure, Guardians of the Galaxy – Mission: BREAKOUT! transforms nightly into Guardians of the Galaxy – Monsters After Dark. As the sun sets, the attraction’s exterior goes dark and then suddenly powers back up with lighting effects, a signal that something has gone awry. The Guardians have successfully escaped The Collector’s Fortress but have accidentally left Groot behind. Guests help Rocket distract the creatures that have been released so he can rescue Groot in this exciting seasonal twist. From Aladdin’s Jafar to Little Mermaid’s Ursula, Disney’s villains are lurking around every corner. Grab a photo with them, if you dare! KidTripster Tip: Get the Disney MaxPass and along with it a (practically) personal photographer. For an additional $10 per day per ticket, the MaxPass allows you to get FastPasses via the Disneyland App. It also gives you free PhotoPasses; any photos taken by the professional Disney photographers are free to download, including photos from rides and, of course, photos with characters. Your favorite Disney characters get into the spirit and are decked out in costume, too. New this year is the popular character Vampirina from the Disney Junior hit series by the same name. Guests have the opportunity to meet Vampirina at Disney California Adventure. She also makes a special appearance during the Frightfully Fun Parade at Mickey’s Halloween Party. You already know that nearly every big ride at Disney empties into a gift shop, right? During this time of year, look for spooky souvenirs from t-shirts to home décor to remember your visit. Guests will find new Halloween-themed eats and treats throughout the resort as well as the return of several favorites. At Disney California Adventure, try the Spoke-y Cone Macaron filled with marshmallow buttercream and candy corn, the headless horseman cupcake or chocolate bat cookie. We dare you to resist! No one themes a park quite like Disney! At every turn, you’ll find special, Instagram-worthy decorative touches to put you in the Halloween spirit. Journalist KyAnn Lewis is a bona fide Disney fanatic. Not only has she attended Halloween at Disney World or Disneyland eight years running, she’s also visited every Disney park in the world with her family!